Servicing the Humble, TX area for all your pest control needs, including termites, commercial pest control, mosquitoes, and nuisance pest. We look forward to offering you superior pest control options and know that our friendly professional team will earn your business forever. We have worked hard to be the best at what we do, and we're here to help. We are all business people these days running around from job to errands, to children and more. There never seems to be enough time in the day to get everything done, but have not fear with can take care of this side of your life, pest control. We have superior high-quality service technicians who are ready to help you with all your pest control needs. We also offer commercial pest control for business in the Humble, TX area. Rest assured that you and your families safety is by far our most important concern. Our staff will take care of your home and property the same way we would take care of our own. No matter what the task we can help from prevention to elimination of your pest. 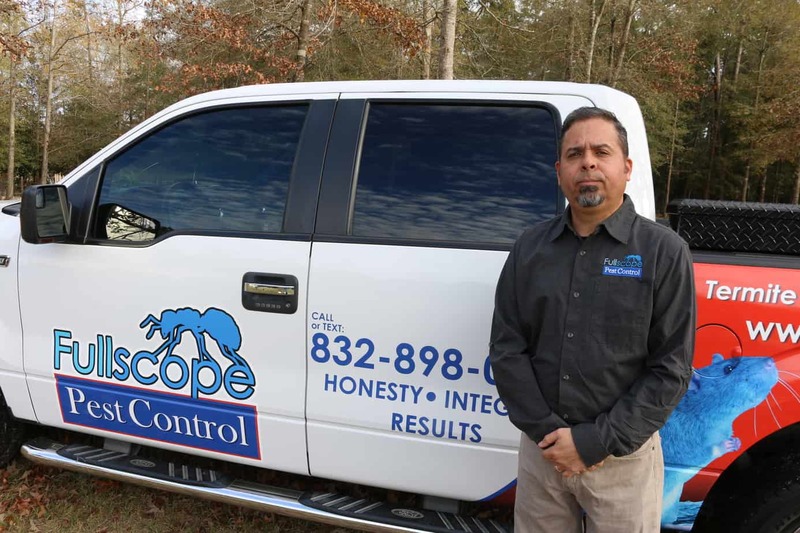 Call to ask about one of our Pest control Specials for Humble, TX. We guarantee that you'll love how quickly we respond, and the way we take care of the problems. With the most educated and informed technicians on the market FullScope Pest Control, will take care of all your pest control needs in the Humble, TX Area. Offering the Humble, TX area a full service, high-quality pest Control Company for all your pest needs. With the highest quality products and a professional team, we will ensure you receive the highest quality pest control in the area. No city is safe from fire ants and mosquitoes but we have you covered we can discuss multiple options of pest control for these nuisance pests and other issues you may have throughout the year. We know without a doubt we can perform the most thorough pest control program in the Humble area. Maybe you are looking for a fully automated mosquito misting system, something that you can have installed and never work about mosquitoes in your yard again. We have you covered, call us to talk to us about our MistAway Mosquito Misting System and other mosquito control options. The Mosquito Misting system explained very simply, uses a water-based biodegradable insecticide that is automatically pumped through tubing that creates a mist to control the mosquitoes. Offering the highest level of customer satisfaction when it comes to mosquito control. There really has never been a more effective method of controlling mosquito and preventing biting in your backyard. Call today and ask about our Humble, Texas Pest Control Specials. Humble, Texas offers quick and easy access to shopping, restaurants, theatres, and lakes for plenty of full experiences. Humble is a city in the U.S. state of Texas, within Houston–The Woodlands–Sugar Land metropolitan area and Harris County. As of the 2010 census, the city population was 15,133. The city shares a zip code with the small Houston neighborhood of Bordersville, although people who live in Bordersville still have Humble addresses. Offering residents a historic downtown area and a new sprawling modern shopping and living experience. The city of Humble, TX was incorporated in 1933, although early settlers starting arriving as early as the 1800's. Humble is located in the Northeast quadrant of Harris County and covers about 10 square miles, with a very diverse population of the some 15,000 inhabitants. Originally famous for the C.O. Bender Sawmill and shallow oil production, humble has since grown into a charming community with a reach heritage of residents. 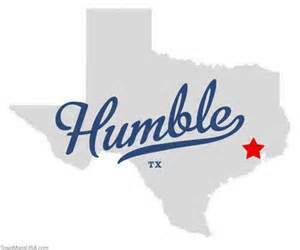 Humble is an easy drive to Houston and Conroe. Today Humble offers state of the art hospitals, quality schools, a spacious mall, and civic center and arena. Some of the City of Humble annual activities are the Christmas Parade of Lights and Good Oil Days. Close to all activities with still an old world charm and adorable downtown area, with shops and restaurants for you to enjoy. Enjoy lots of activities throughout the year in Humble, TX whether you are looking for fun runs or French Cuisine, you can find it in Humble, TX. Home of the Humble Rodeo, that allows high schools to show off their livestock and enjoy the festivities. Humble offers an old world charm with their historic downtown area, still offering a variety of activities. But when it comes to pest control it can bring other challenges because we are living closer and closer to our neighbors and have given some pest large area of harborage.